Aminoglycosides such as gentamicin, amikacin, netilmicin and tobramycin are potent antibiotics used in treating bacterial infections such as sepsis, meningitis and pneumonia. These are essential antibiotics for treating severe bacterial infections, especially in the neonatal intensive care units. The downside however in the use of these aminoglycosides is that it can be ototoxic. The aminoglycosides can cross the protective blood-labyrinth barrier and travel into the cochlear and kill the sensory hair cells, thereby causing hearing loss. While this is well known, what is not well understood is who is at greatest risk. Peter Steyger from the Oregon Hearing Research Center, Oregon Health & Science University, Portland, sought to answer this question by testing the effects of aminoglycosides on mice with symptoms of sepsis and inflammation. The researchers used bacterial lipopolysaccharide to induce endotoxemia and then measured the impact of aminoglycoside-induced ototoxicity. In summary, the researchers found that patients receiving aminoglycosides for life threatening bacterial infections are a greater risk of ototoxicity than previously recognised. Given these drugs are tried and tested, low costs, have a low rate of resistance formation and there aren’t that many alternatives, for the short term we must continue to use them. 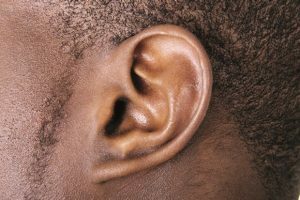 What this information provide is greater awareness and closer monitoring of hearing loss is required when such drugs are being administered. Interestingly, there appears to be significant research being undertaken to minimise this impact including investigating the possibility of coadministering drugs that stops the uptake into the hair cells or modifying the drugs to prevent it from destroying the sensory hair cells. To read the full research article, click here. Subscription required to access this article.